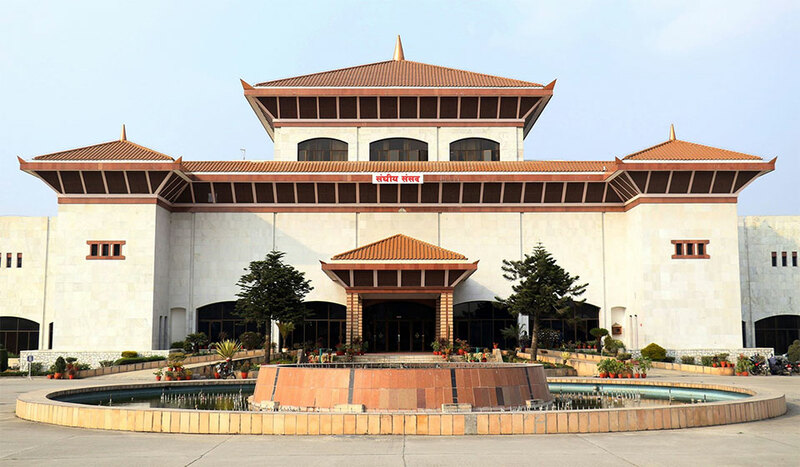 KATHMANDU, March 6: A meeting of the House of Representatives today constituted the 'House of Representatives Rules Drafting Committee'. 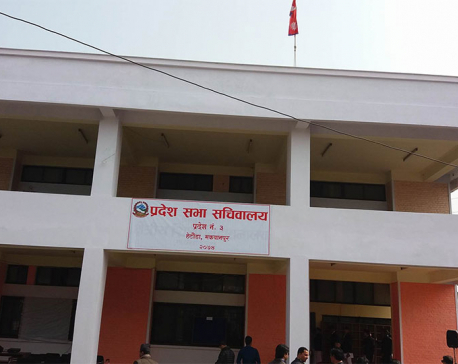 The 13-member committee comprises Krishnabhakta Pokhrel, Juli Kumari Mahato, Dilendra Prasad Badu, Dev Prasad Gurung, Prem Suwal and Brijesh Kumar Gupta. 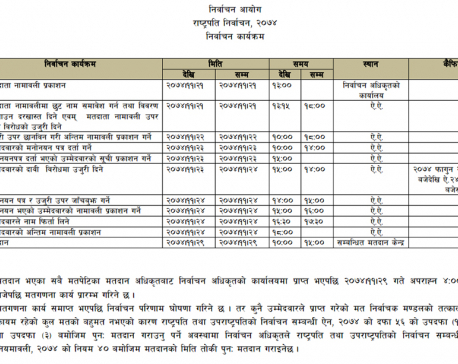 Meen Bahadur BK, Dr Minendra Rijal, Rabindra Adhikari, Rekha Sharma, Laxmanlal Karna, Dr Binda Pandey and Bimal Prasad Sriwastav are other remaining members of the committee. The committee has been given a deadline of one month to prepare the draft. Besides, it shall determine names of committees to remain under the subordination of the lower house and their numbers and fix the entire working procedure required for the operation of House of Representatives. The committee can take help of experts and others as per necessary.It shall elect its president within from the committee. Prior to this, the meeting unanimously endorsed a proposal tabled by lower house member Bhanubhakta Dhakal, seeking the formation of draft committee. It was backed by Dr Rijal and Krishna Bahadur Mahara. The meeting has set March 10 as the day for holding the election of a Speaker. According to house senior most member Mahantha Thakur, the Federal Parliament Secretariat will publish the election schedule. The lower house shall meet at 1:00 pm on March 10.